As of time of writing this, no-one has even listed the SNES Classic as a product that you might eventually be able to buy, but you should definitely sign up for email notifications once that option is available to you. Also, see if there’s a website where you can get email notifications about when the email notifications will be available. You might think I’m joking, but the SNES Classic will be a hot item, and if you want a chance of getting it, you need to be dedicated. If you’re willing to get about ten emails from them a day, I’d suggest signing up for email notifications from MyNintendoNews. It was their notification that allowed me to buy it from GameStop while on the way to the dentist. Sometimes, the product won’t be available for pre-order online, but you can put money down for one in a physical store. If this is the case, call your local GameStops, Best Buy’s, whatever, and see if they have it for pre-order. If so, grab your keys and speed over to the store with cash or credit in hand to secure your pre-order. Life is strange busy, and sometimes things pop up. You don’t want to miss out on getting that SNES Classic just because Aunt Susan had to die and have her funeral on the same day! That’s why you make sure that you have backup. Call your closest friends and family members, maybe make them a nice meal, flatter them, blackmail them, do whatever it takes to get them to commit to getting that SNES Classic for you. So, you weren’t able to get a pre-order. Maybe it was your fault for not being connected 24/7; maybe it never went on pre-order at all. But you know you. You need this SNES Classic. And so, you camp out. Call your local game stores the day before release to determine how many they have in stock. Write down that number first, and then, when you get there, count if there are enough people for you to get it from the back of the line.You can camp a full 24 hours or show up an hour after the store opens, but the earlier you are, the higher your chances of going home with that sweet, sweet box full of nostalgia. People are forgetful. They might forget which store they pre-ordered at. They might forget what day the SNES Classic was supposed to release. At any rate, one man’s loss can mean your gain. So call to see how long people have to pick up their pre-orders, and call the second they’re expired. We know that the SNES Classic won’t likely be continued into 2018. But from that statement, it is likely that it will be continued throughout the rest of 2017 once it releases. So, if at first you don’t succeed, try, try again. Repeat steps one through five until you have that SNES Classic cradled in your arms. 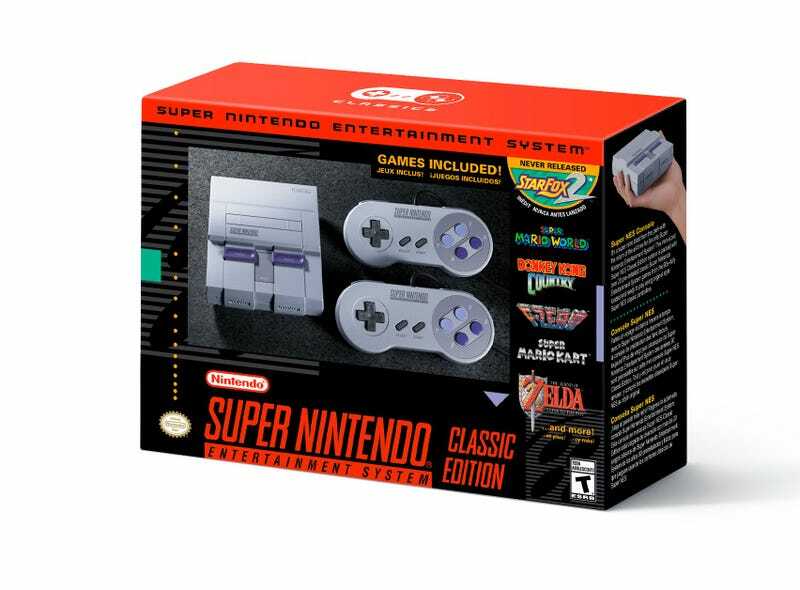 So 2018 is here, and you still don’t have a SNES Classic. But you really just want to play some SNES games. Well, you’ve got plenty of options. By 2018, the Switch might have virtual console titles, possibly in a way similar to Netflix, and if not, you can legally play them on Wii, Wii U, and New 3DS. If you’re feeling lower budget, you could get an emulator. It’s all right, the usual moral code for that is if they’re over a decade old, and SNES games are well beyond that. Or, if you’re feeling higher-budget, you could buy the original SNES or some other device that plays SNES games, and hook it up to your TV. The actual console might end up costing less than the SNES Classic, but you’ll also have to buy the actual games, unless it’s some knockoff brand that has the games pre-installed. I don’t recommend it. Paying scalpers just incentivizes them to scalp more and cause you to not get whatever you wanted to get in the first place. The title says “moral,” and this is stretching that definition. But if you really, really, really need the SNES Classic, and there’s no hope of a restock, you might have to resort to this.